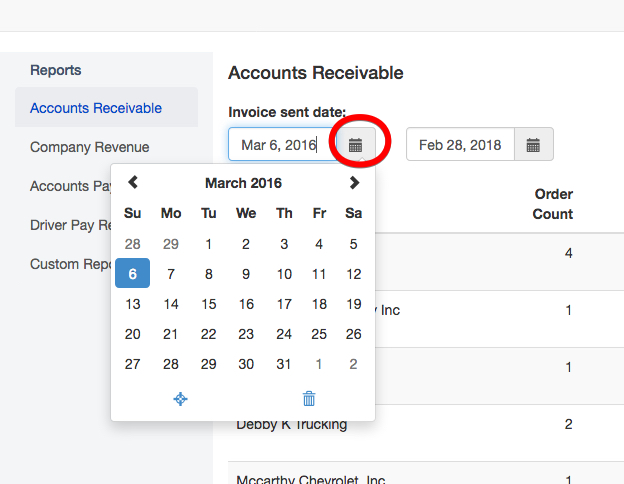 In order to make it easier for you, we have added an Accounts Receivable feature, which is simply a list of all the companies that owe you money based on the invoices you have sent. Click on the Reports tab in the top row of your dashboard. We fill this list from the invoices you have created and available in the BILLED tab. The TOTAL box that is the sum of all the money that is owed to you between all the companies in this list. BEGINNING date or the ENDING date by clicking the calendar button. How Do We Decide When "Past Due" is? These guidelines are based on BUSINESS DAYS so weekends are not calculated into this time! What does the "empty" list at the end of my screen mean? This is our "broken" invoice list. 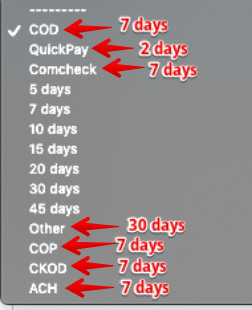 You are only going to see this list if you have orders without enough information to properly invoice, such as orders without company names or prices. 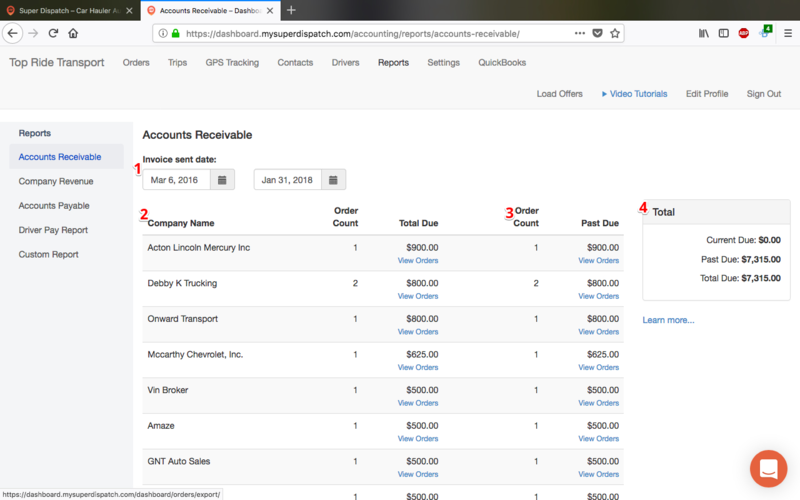 We created this list to help you easily locate all of your orders that are missing information, so that you can fix them, send the invoice, and get paid quicker! If you see this list, you can view the individual orders by clicking the View Orders link.